The purpose of adaptivity (adaptive image sampling) is to make noise level uniform across the whole image. By focusing computing power on the most problematic areas it reduces the risk of ending up with a situation where some parts of the image are clean, and some other are still noisy even after many passes or long rendering time (such as shadows or glossy reflections). 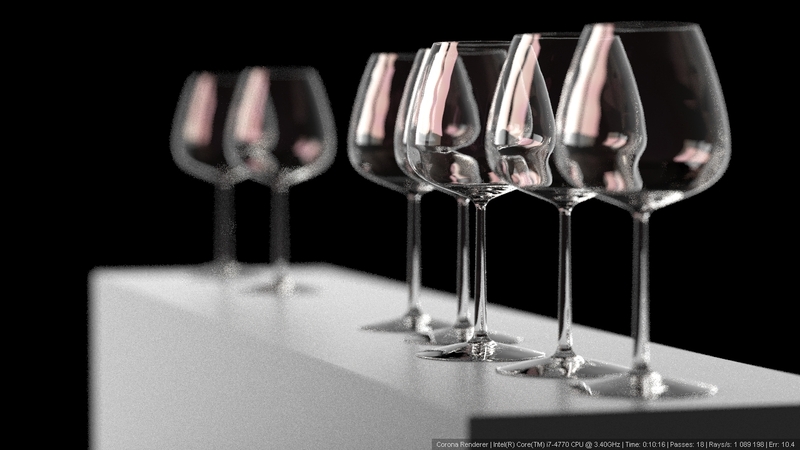 This, along with denoising (3ds Max | C4D), can drastically reduce render times needed to produce a clean image. The only available parameter affecting adaptivity calculations is "recalculate interval" which determines the number of passes after which adaptivity becomes re-calculated. The default value should always be used. Enabling adaptivity makes it possible to set noise level limit (3ds Max | C4D). Starting from Corona 1.4 adaptivity is enabled by default and should never be disabled. There is simply no reason to ever disable it in production renders. However, if you really need to disable it (for example for testing purposes), you can do it in the Development/experimental stuff rollout (3ds Max | C4D). Note: you may find it takes longer to run a certain number of passes with adaptive image sampling enabled, but you will need less passes. For example, if a scene took 100 passes to clean up a shadowed area while other areas were noise-free after just 50 passes, with adaptive image sampling you may now only need 75 passes to get a clean result in both the "easy" and "problematic" areas. If you choose to render for the same 100 passes as before, you will find those 100 passes take slightly longer with adaptive sampling, but you should not need that number of passes any more. This results in an overall time saving – the best way to compare results to see the difference it makes is to limit your render by time rather than by number of passes (3ds Max | C4D). 1.1. Strong DOF - adaptivity on - 10 minutes. 1.2. Strong DOF - adaptivity off - 10 minutes. 1.3. Interior scene - adaptivity on - 5 minutes. 1.4. Interior scene - adaptivity off - 5 minutes. 2.1. 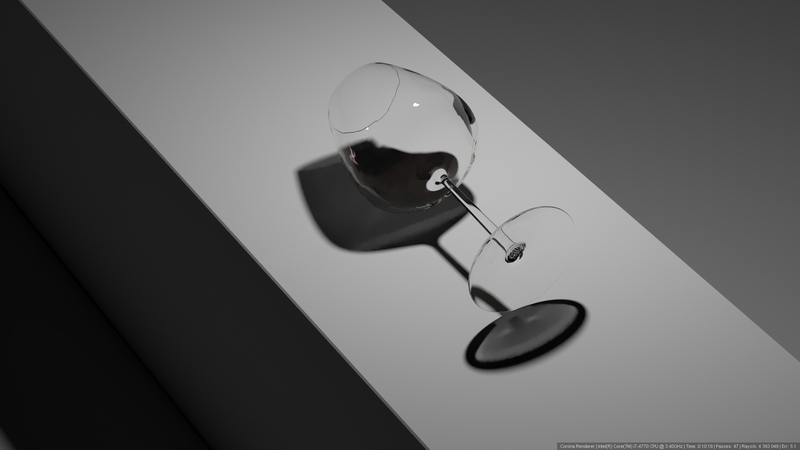 Caustics - adaptivity on, denoising on - 10 minutes. 2.2. 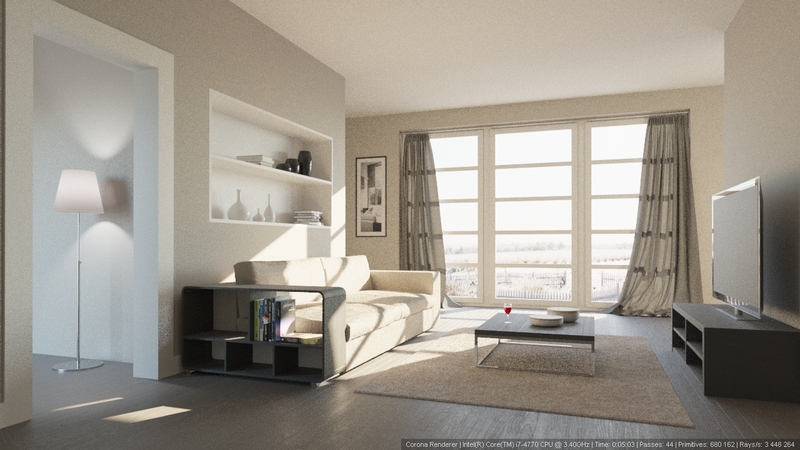 Caustics - adaptivity off, denoising on - 10 minutes.